One of the joys of Twitter is when you stumble across a fascinating article that REALLY helps with understanding music. This video shows what happens inside a French Horn players mouth and throat when she is playing, thanks to an MRI Scan. 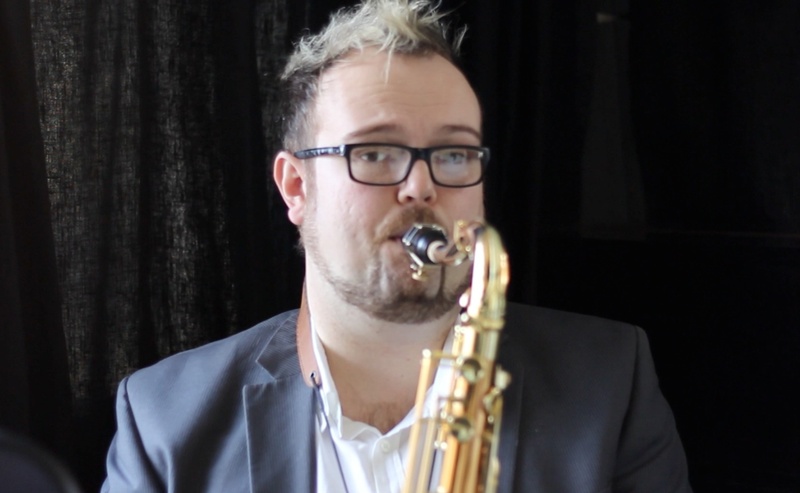 Whilst the playing technique is of course different between a saxophone and a brass instrument, (we are members of the woodwind family remember,) how you position your throat and tongue has a profound affect on the tone you produce. Sadly they only show a little bit of how her diaphragm is moving – but the watch carefully how Sarah uses her tongue as a baffle or ‘wing’ in order to make the air move faster for the higher notes, the same thing SHOULD happen on your saxophone! There is also a fascinating video blog here where Sarah Willis and the team go to the Max Planck Institute in Göttingen, Germany to meet scientists who are using the latest MRI and Motion Capture methods to find out exactly what goes on inside a musician’s body while playing an instrument. Sarah talks to kinesiology professor Peter Iltis, head of the MRI department in Göttingen, Prof. Jens Frahm and motion capture specialist Erwin Schoonderwaldt. She then volunteers to play the horn in the MRI chamber …you definitely don’t want to miss this episode of Sarah’s Music! Enjoy and place your comments below!